Visitors to Wilton Shopping Village may notice an even friendlier than usual welcome as we introduce our lovely village greeter, Emma Adamson. Treat that special lady (and yourself!) to a ‘Pamper Me Please’ package at Wilton Shopping Village this Mother’s day! What better way to spend Valentine’s day than escaping to homely Cobbs cafe in the historic courtyard of Wilton Shopping Village. Cobbs cafe are offering YOU the chance to treat yourself and a friend or loved one to win ‘Tea for 2’ this Valentine’s day. 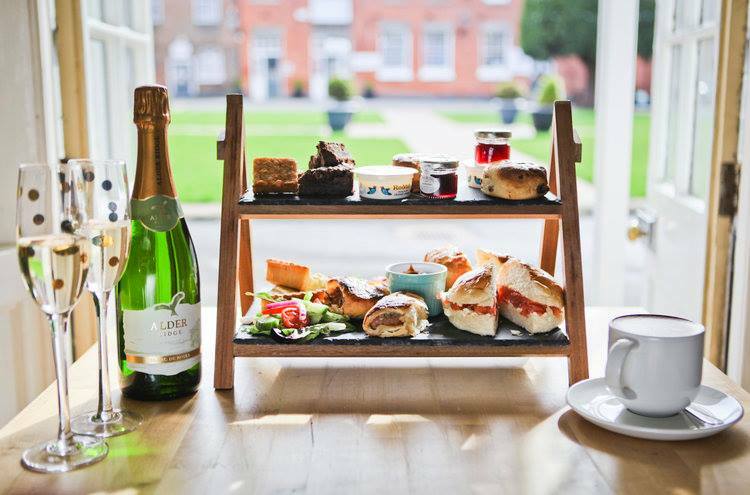 With finger sandwiches, sweet treats, scones and a selection of drinks. Autumn is the official season of comfort food. Raining outside? Let’s eat. Kids are bored? Bake a cake. Feeling chilly? Massive pot of stew. It’s all about what you can cook up with what’s in front of you. Grape Tree is the crowning companion to have when it comes to autumn cooking, with delicious ‘Feel Good Food’. I’ve done some of the work for you by finding some delicious recipes to turn those mere bags of nuts, jars of spices and pots of seeds into masterpieces the whole family can indulge in.